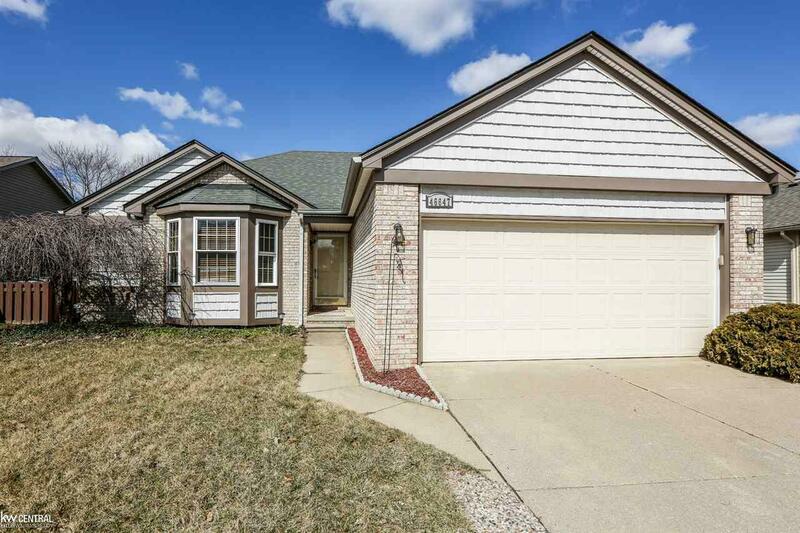 3 BEDROOM BRICK RANCH WITH FINISHED BASEMENT FOR SALE IN MACOMB. All major mechanicals recently updated like the roof, furnace, windows, a/c, and hot water tank so your future living and maintenance expenses will be low for many years to come. Step inside your freshly painted home and notice the easy to clean, flowing hardwood in the great room. Complete with a centered fireplace and cathedral ceilings the atmosphere just perfect for relaxing evenings. And with 2 full baths and a first floor laundry have everything anyone would ever need without ever leaving the main level. But, then you would miss out on the full finished basement w/ half bath, large living area and 2 bonus rooms, truly the perfect place to host your friends. Or enjoy entertaining outside on your paved patio in your tranquil yard with no neighbors behind. Plus, you are just minutes from i-94, less than a mile to all 3 award winning schools, and all the shopping and restaurants your heart would desire.